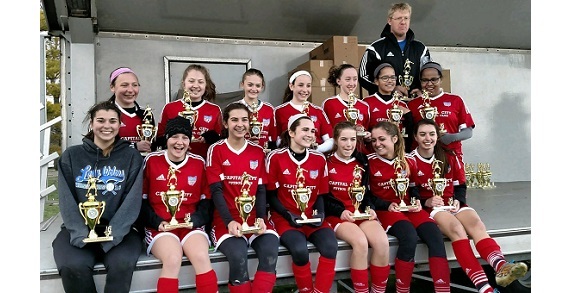 Capital City Futbol Club was formed to provide a competitive opportunity for the growth of the committed soccer players within the Westerville, OH community. Capital City Futbol Club will provide an environment for fun, discipline, personal growth and character building, through a well-organized, transparent club. 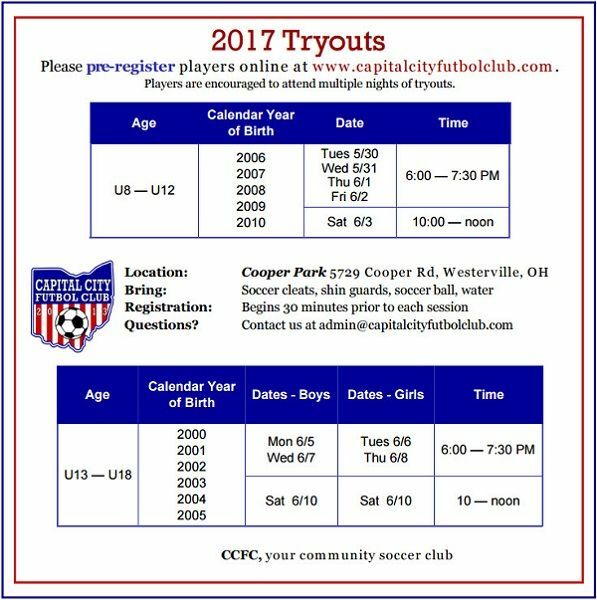 Go to CapitalCityFutbolClub.com to register for tryouts!